As we inch ever closer to Christmas, the delivery cutoff is approaching, so get your orders in within the next two weeks to ensure you make the deadline! There are plenty of sales and deals still out there, despite Cyber Monday and Black Friday being behind us. 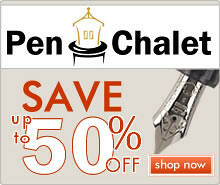 Pen Chalet is even running another promotion where you can grab 10% off using the coupon code “HOLIDAY” through Sunday. Happy shopping! Kaweco Sports in New Colors (via Pen Chalet). Kaweco has released two new versions of the Sport: the Skyline “Fox” (an orange) and Classic Navy Blue. Expanded Kaweco Student Lineup (via Pen Chalet). Kaweco has expanded their “Student” lineup to include a new color scheme: “70’s Soul”, a combination of orange and creme. 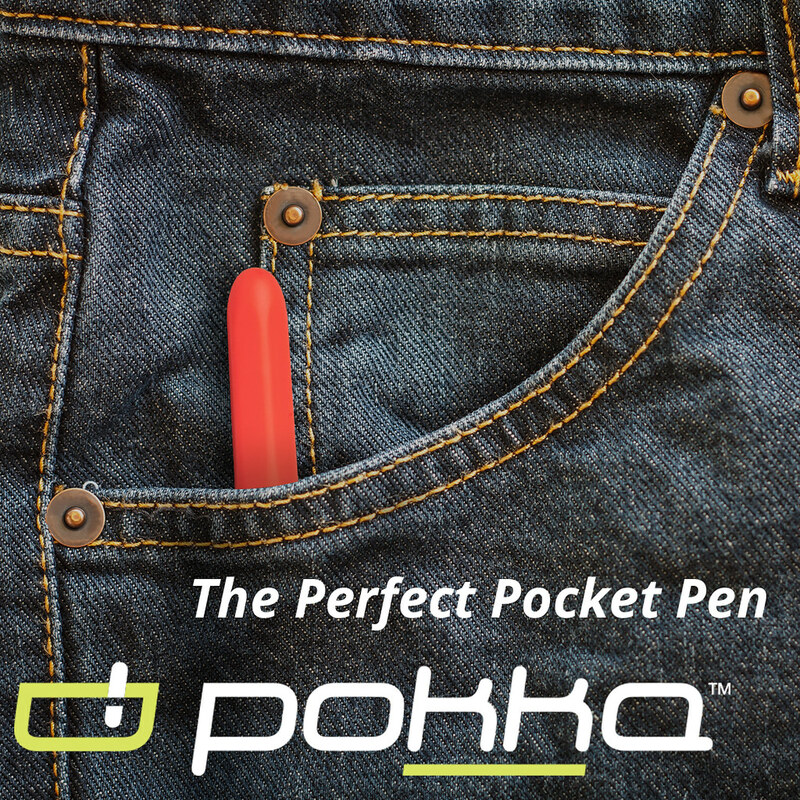 This isn’t just a “student” pen; it was also very popular with adults at the D.C. Pen Show. Kaweco AL Sport Explorer (via Appelboom). 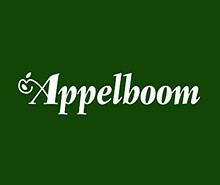 Exclusive to the Netherlands, Appelboom has this new khaki version of the AL Sport with black trim. A great looking pen! 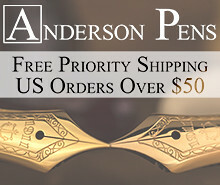 Esterbrook Phaeton (via Anderson Pens). 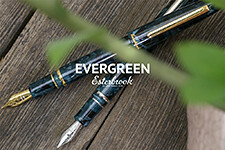 Esterbrook has released its next model, the Phaeton, featuring a hooded nib and a much lower price point. I can’t wait to get my hands on this one. Leigh Reyes Journal Guides and Sticker Packs (via Vanness Pens). I didn’t realize that these were still available, and they would make great gifts for a pen or stationery lover, and especially someone who journals! Discounts on Bung Box Ink (via Vanness Pens). 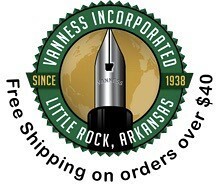 Vanness is offering $4-11 off certain colors of Bung Box Ink. These inks don’t go on sale very often so act fast! Discounts on Colorverse Ink (via Vanness Pens). Also, don’t miss this chance to get $6 off bottles of Colorverse! 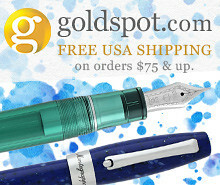 Aurora Fountain Pen Sale (via Vanness Pens). Last but not least, Vanness is offering some pretty significant discounts on back stock of Aurora limited edition pens, including the Minerali demonstrators and the Optima Flex. Montegrappa Nero Uno Fountain Pen (via Pen Chalet). This unique looking Montegrappa pen is on sale and selling quickly! Get one now before they’re gone! Aston Leather Pen Cases (via Pen Chalet). Don’t miss a chance to pick up one of the featured items on the TGS Holiday Gift Guide - some very nice pen cases from Aston Leather. Exclusive Diplomat Aero in Red (via Anderson Pens). Diplomat and Anderson Pens have collaborated on this exclusive color of the Aero! Available in fountain pen, rollerball, and ballpoint. Retro 51 London Skyline Limited Edition (via Goldspot). Retro 51 and Goldspot have released their latest pen in the “Skyline” series, this time featuring London. Oversize Fountain Pen Sakura Green (via 18111com/Etsy). It looks like Yoshi Nakama has added a new oversized model to his lineup, featuring a different design technique. 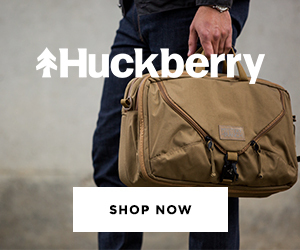 Custom Leather Goods (via One-Star Leather). Though it’s too late to get custom orders by Christmas, you have until December 17th to order pre-built products for Christmas delivery.